This post, the latest in my series about cosmology, the study of the origin and evolution of the Universe as a whole, talks about the Steady State theory. This is an elegant alternative theory to the Big Bang, which was very popular among astronomers in the 1950s, although it has now been discarded. What is the Steady State Theory? The Big Bang theory states that the Universe originated from an incredibly hot and dense state 13.7 billion years ago and has been expanding and cooling ever since. It is now generally accepted by most cosmologists. However, this hasn’t always been the case and for a while the Steady State theory was very popular. This theory was developed in 1948 by Fred Hoyle (1915-2001), Herman Bondi (1919-2005) and Thomas Gold (1920-2004) as an alternative to the Big Bang to explain the origin and expansion of the Universe. At the heart of the Steady State theory is something called the Perfect Cosmological Principle which states that the Universe is infinite in extent, infinitely old and, taken as a whole, it is the same in all directions and at all times in the past and at all times in the future. In other words, the Universe doesn’t evolve or change over time. The theory does, however, acknowledge that change takes place on a smaller scale. If we take a small region of the Universe, such as the neighbourhood of the Sun, it does change over time because individual stars burn up their fuel and die, eventually becoming objects such as black dwarfs, neutrons stars and black holes. The Steady State state theory proposes that new stars are continually created all the time at the rate needed to replace the stars which have used up their fuel and have stopped shining. So, if we take a large enough region of space, and by large we mean tens of millions of light years across, the average amount of light emitted doesn’t change over time. See Note 1. How does does this work with the expanding Universe ? The Universe is composed of galaxies, each of which contains many billions of stars. 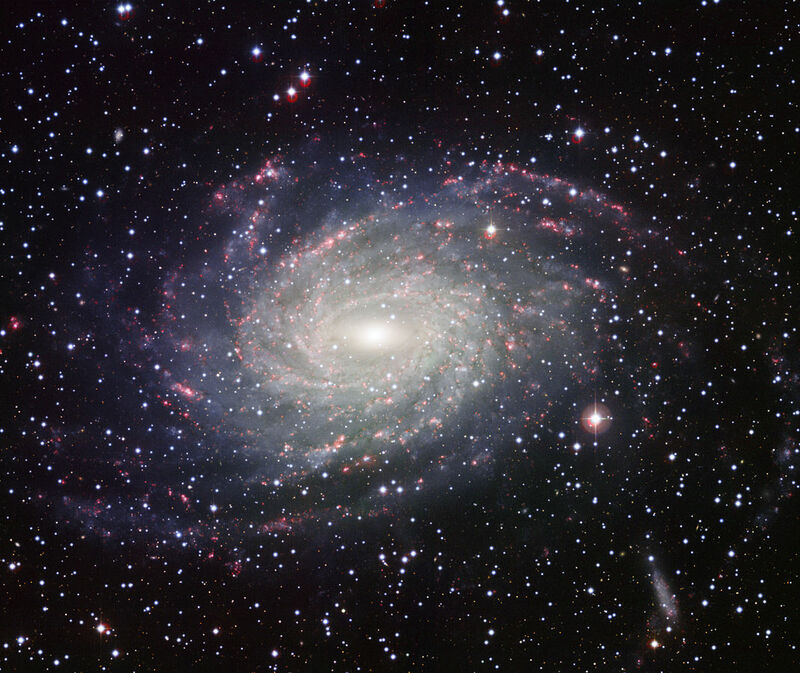 Our Milky Way is a large galaxy and is believed to contain over 400 billion stars. As discussed in my previous post, it has been known since 1929 that the Universe is expanding, which means that when we look at distant galaxies they appear to be moving away from us. The further away a galaxy is from us, the faster it appears to be moving away. This relationship, which is known as Hubble’s law, is shown in simplified form in the diagram below. The horizontal x-axis gives the distance from Earth, and the vertical y-axis gives the speed. The astronomer Hubble (who discovered the expansion of the universe) plotted a sample of galaxies on the graph accordingly. Hubble proved that the galaxies are all moving away from each other, which implied that the average distance between galaxies in increasing and so the Universe must be changing over time. The Steady State theory gets round this by assuming that new matter is continuously created out of nothing at the incredibly small rate of 1 atom of hydrogen per 6 cubic kilometers of space per year. See Note 2. This new matter eventually forms new stars and new galaxies and, if we take a large enough region of the Universe, its density, which is the amount of matter in a given volume of space, doesn’t change over time. If we take two individual galaxies then their relative distance will get further and further apart due to to the expansion of the Universe. However, because new galaxies are being formed all the time, the average distance between galaxies doesn’t change. This is shown in a simplified form in the diagram below. at all points in the Universe whether the observations refer to 10 trillion years in the past, now, or 10 trillion years in the future. One of the elegant features of the Steady State theory is that because the Universe is infinitely old the question of its origin doesn’t arise. It has always existed. Unlike the Big Bang theory, the Steady State theory has no point far back in time when a ‘creation event’ occurred causing the Universe to come into existence. To Fred Hoyle, who was a committed atheist, this was an attractive point of the theory. Another piece of evidence which emerged to discredit the theory emerged in 1963, when a new class of astronomical objects called quasars was discovered. These are incredibly bright objects which can be up to 1,000 times the brightness of the Milky Way, but are very small when compared to size of a galaxy. 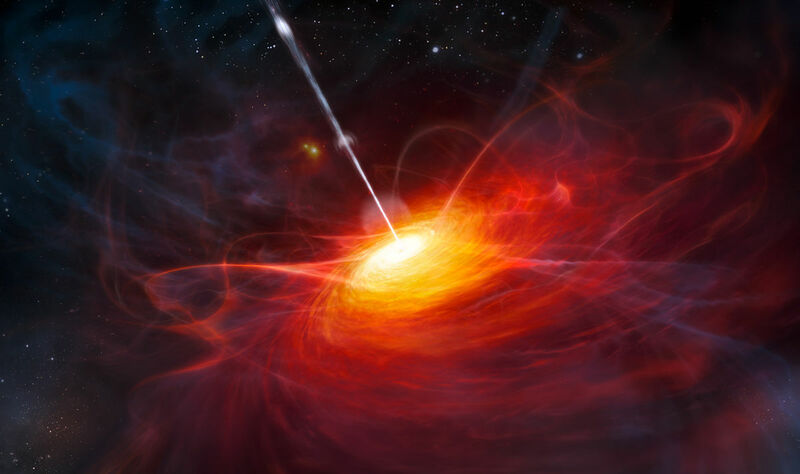 Quasars are only found at great distances from us, meaning that the light from them was emitted billions of light years ago. The fact that quasars are only found in the early Universe provides strong evidence that the Universe has changed over time. However the real the nail in the coffin of the Steady State theory was the discovery in 1965 of the cosmic microwave background radiation. This is a weak background radiation which fills the whole of space and is the same in all directions. In the Big Bang theory this radiation is a relic or snapshot from the time the Universe was young and hot and was predicted long before it was discovered. However, in the Steady State theory it is almost impossible to explain the origin of this radiation. Is the Steady State theory a good theory? For the reasons given above, by the early 1970s the Steady State theory was no longer accepted by the vast majority of cosmologists. The Big Bang theory is now generally believed to explain the origin of the Universe. However, despite this it can still be argued that the Steady State theory is a good theory. ‘the Steady State theory was what Karl Popper would call a good scientific theory: it made definite predictions, which could be tested by observation, and possibly falsified. Unfortunately for the theory, they were falsified’ (Ref 1). (1) The Universe Past, Present and Future. This describes what is meant by the Universe and gives an overview of its origins, evidence for its expansion and discusses briefly its ultimate fate. To view this post click here. (2) A brief history of the Universe. This gives a history of the Universe from just after the big bang until the current date. To view this post click here. (3) Dark Energy. This post gives the reasons why cosmologist believe dark energy exists and why it makes up nearly 70% of the mass of the Universe. To view this post click here. (4) Dark Energy over Time. This post discusses how the amount of dark energy in the Universe has varied over time and its implications on its future evolution. To view this post click here. (5) Dark Matter. This post discusses evidence for dark matter, the mysterious substance which makes up around 25% of the mass of the Universe. To view this post click here. (6) The ultimate fate of the Universe. To view this post click here. I have written a short e-book on extraterrestrial intelligent life and how humans have tried to make contact with it. The book is available to download from Amazon in Kindle format by clicking here. I have also written a short e-book on the Moon. This can be downloaded by clicking here. I hope you have enjoyed this post. To find out more about the Science Geek’s blog, click here or at the Science Geek Home link at the top of this page. 1 A light year is the distance that light travels in a year. 1 light years is equal to 9.46 trillion km . 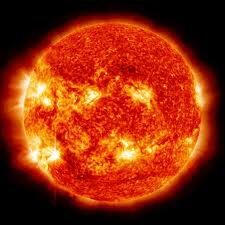 The nearest to the Earth, other than the Sun, lies 4.2 light years away. 2 To continuously create matter and to drive the expansion of the Universe. Fred Hoyle introduced into the Steady State model something he called the C-field, where C stands for creation. I have not seen this data you talk about, I have seen data that says they have, and I quote from a Wikipedia article, “Preliminary analyses strongly suggest the carbon is present as polyaromatic organic solids mixed with sulfides and iron-nickel alloys. In turn, the Philae lander’s COSAC instrument detected organic molecules in the comet’s atmosphere as it descended to its surface.” Now carbon was not found by the orbiter in the tail of the comet as of yet, but the comet and findings by the lander are a different matter. I am curious about these things, could you suggest reading sources for me because all I find does not support your statement. both suggest a non-uniform universe and definite areas not in balance with “the universe” but separate from anything but a steady state. I believe this long time rival to acute or secular rapid expansion was, at the time, called “Continuous Creation”, and was championed by the late Fred Hoyle. (See https://en.wikipedia.org/wiki/Fred_Hoyle.) Hoyle is also credited with giving secular rapid expansion its then popular and present name, the “Big Bang”. He intended it to be pejorative. I agree that the universe is infinite and cyclic, information hidden from the public after national academies of science were united into a worldwide “Orwellian Ministry of Consensus Science (UN)Truths” when nations were united (UN) on 24 Oct 1945.
and George Orwell also started writing “Nineteen Eighty-Four” In 1946. The pulsar core of the iron Sun offers ASSURANCE humanity will survive this 70-year voyage on a ship of fools guided by frightened, but incompetent world leaders. The 2009 Climategate emails and six years of official excuses for deception disguised as 97% consensus science conclusively demonstrate that humanity has been captive passengers on Spaceship Earth for seventy years, guided by world leaders who lost contact with reality in 1945! 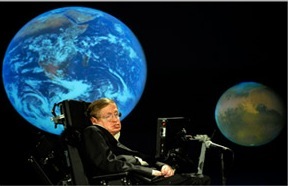 Fortunately for humanity, Nobel Laureate Max Planck recognized and pointed out in 1944 that a “conscious and intelligent Mind” directs the force that creates and sustains atoms, lives and planets in the solar system, . . .
That is my assurance that BIG BROTHER IS GOING DOWN. Events that changed the course of world history during a NEWS BLACKOUT in Aug-Sept 1945. A more recent steady state model says the universe is constantly growing ever more massive singularities, two of which eventually collide head-on at light speed. It’s called the Big Bash model and each big bash looks much like our own big bang. The primary difference is that each big bang takes place in the same old universe and overlays some of the old, cold, lumpy matter of prior bashes. This explains why we’re finding cosmic structures that are both too large and too old to have been created by our big bang. Our big bang is surrounded by so many massive structures that their gravitational pull eventually overpowers our big bang’s own thinning central gravity and causes the re-acceleration of its expansion; the phenomenon referred to as dark energy. This model explains many of the big bang anomalies that trouble so many astrophysicists. Its details are posted at ghmickeythompson.com. Lovely article. It is well presented in your article that when Steady Stat theory was proposed, not Hoyle but lot other cosmologists were inclined towards it as this theory right away removes the hurdle of answering the question of “Initiation of Universe” which was very comfortable and easy way to avoid the question. But CMBR and all other proofs had pushed the theory out of the minds of scientists. Very true and it was an elegant theory and in my opinion a much more elegant theory than the Big Bang. The problem is it was shown to be false. What is the relationship of the steady state to the cosmological constant? In summary, Einstein’s theory of general relativity predicts that gravity will pull the galaxies together and slow down the expansion, there must something stronger than gravity acting to push the galaxies apart. This force is called dark energy and counteracts the force of gravity. The reason for the name “dark” is that it is invisible and fills the whole of space. Is the cosmological constant is the same which Einstein declared as “His biggest folly” afterwards? And nowadays again gaining reputation of being true. Below is a message posted yesterday on ResearchGate in response to Professor Matts Roos saying the universe is not expanding on all scales. H-1 atoms are expanded electron-proton pairs, with the radius 100,000 times greater and the mass 0.08% less than those of neutrons. _ b.) Frightened world leaders secretly agreed to unite nations (UN) and national academies of science (NAS) into a worldwide “Orwellian Ministry of Consensus Science (UN)Truths” to prevent public knowledge of the source of energy in cores of heavy atoms on 24 Oct 1945. Thanks to Max Planck’s 1944 insight into the nature of matter, we now have assurance humanity will survive this seventy-year (1945-2015) effort to take totalitarian control of the globe by combining all sovereign nations into one United Nation. thank you for teaching me the Steady State theory. Excellent, concise explanation. I do enjoy looking into the past. Excellent post. I would only add the interesting aspect of random fluctuation in a vacuum that is inevitable given infinite time. That’s enough to start stuff in the middle of nowhere, which smacks of steady statehood. Also, I would not expect to see any quasars anywhere nearby on a cosmic scale. If we did “see” one nearby it would only be a flash, ’cause we’d be disintegrated. The steady state theory (sort of) fits what I understand quantum physics is all about. Perhaps there can be both solid state universes and big bang universes existing within the cosmos, which would allow for the multiverse(s), also. I’m no cosmologist (or any kind of scientist for that matter) but I certainly enjoy reading about this sort of thing. Keep the posts coming ! PS: Thanks for the “like” on my blog ! What are your thoughts on the big question in cosmology? Did the universe have an absolute beginning? In the standard big bang model, before the Big Bang the Universe did not exist. The Newtonian universe is based on matter and force. The Einsteinian universe is based on matter and energy. The Aetzbarian universe is based on static time and energy. Thanks for your continuing support for sciencesprings. I appreciate it very much. In the beginning was infinite geometric space. This space became filled with Static Time at absolute rest and absolute cold. Static time is strictly quantitative, and does not differentiate between past, present and future. Being quantifiable and measurable, static time is a scientific concept. Static time of 0.0033 microseconds per meter will be measured regardless of the direction chosen. Stars move through static time, which does not disrupt their motion. Static time exists but is imperceptible. Static time is the deepest secret of the universe. Static time fills all infinite space, eliminating the possibility of a vacuum. Static Time Waves (STW) travel through static time. The speed of STW is 300,000 km/second. Glad you found my post of value. Please fee free to look at any of my other post or pass on to your fellow students. The best theory which fit the observations in a steady state universe is the shrinking matter theory. If the matter shrinks, the distances become larger in atomic radius, giving the illusion of an expanding universe. There are a lot of theories or hypothesis proposing a shrinking universe, but most (not all) lack for mathematical consistence. This took me to develop the “shrinking matter theory”. The end result can be summarized by the graphic 02 in the chapter 6, which shows that dark energy is not required to justify the excess of dimming in the luminosity of the SN1As. The best theory which fit the observations in a steady state universe is the shrinking matter theory. If the matter shrinks, the distances become larger in atomics radius, giving the illusion of an expanding universe. My Dad was an engineer, worked with nuclear power and tested metals and alloys for their resistance to heat. I feel bad since I would half listen to him when he would be so informative about rockets parts! He worked for NASA but left when aged 55, blaming Nixon for taking away the money to fund space program. Hi Geek, I was trying to find the relevant place for my question and this post seems as close as I can get. I have recently heard that the Visible Universe is not as homogeneous as previously thought, and at the very large scale has cooler and hotter regions. The experts are calling this the “axis of evil” since it’s not what was expected. I also heard the Planck Satalite recently confirmed this. Is this true, and what are the implications on inflation theory? What are the general implications on the current theories if this is the case? At the moment, the generally accepted view by most cosmologists is that the Universe (or at least the portion that we can see- the visible Universe ) is homogeneous when viewed on very large scales, i.e 50-200 Megapasecs or larger. Reblogged this on News Aggregator Web. Enjoyed your article, but I have to point our a couple points where you unintentionally misrepresented Steady State Theory, particularly the “evidence against”. First of all, perhaps the most elegant formulation of SST is actually the Hoyle-Narlikar theory, which included the profound insights and mathematical prowess of the great Indian astrophysicist, Dr. Jayant Narlikar (JN), who collaborated with Hoyle for years at Cambridge. Narlikar derived an alternative solution of Einstein’s GR equations in which he allowed mass to be variable, leading to an equation, m=at^2 which not many people are aware of. Doing so avoided the complex geometry of “space-time” of Friedman’s 1922 solution that led towards inflation and “big bang” enthusiasm going into the 1965 CMBR observations. I will get back to that in a moment, as I can hear you saying to your computer “this idiot doesn’t know that particle mass does not vary”. You cited “quasars” as evidence against SST, but actually, you assumed that the red shift of quasars proves they are extremely distant. Halton Arp and others have proved beyond any reasonable statistical doubt that quasars are actually ejected by certain active galaxies, at literally million to one odds that the correlations of their optical, xrap, and radio emissions to the morphology of their parent galaxies is just a coincidence–that they are “far in the distance” behind the putative source galaxy. “Why are they so red-shifted?” you ask. Just assume that the conditions inside the super active, hundred-million+ solar mass objects at the cores of these active galaxies are so intense, comparable in scale to what is claimed for black holes, that they somehow create ideal conditions for pair production or a similar process for creating “new” matter directly from the quantum vacuum. Pair production is Paul Dirac’s idea, not mine, and not Halton Arp’s. If you run with Narlikar’s m=at^2 derivation, you see that as time increases, mass increases. Lower mass means photons emitted have lower energies and lower wavelengths, hence their spectra are “redshifted”. As “young” matter accumulates, the core becomes unstable and large hot masses of young matter are ejected, often in opposite directions along a common axis. These grow to become new galaxies, as the matter generating processes continue. Keep in mind that the Doppler effect had to be discarded years ago–trying to explain redshift as recessions velocity implied superluminal (faster than light) velocities. What replaced Doppler? Apparently time-space itself is being created–out of the same quantuum vacuum but not by a lab-proven process like pair production, and not locally where we can observe it, but out beyond even out local supercluster of galaxies, ONLY in the spaces between such masses. Convenient, but like dark matter, dark energy, and all the other ad-hoc bells and whistles added to keep “big bang” alive, not exactly the kind of “science” they told you about in high school. The Cosmic Microwave Background Radiation that is supposed to be such a deal killer for SST has many possible alternative explanations, sich that one wonders why so much effort has been put into blacklisting Halton Arp and other academically qualified pro-SST dissenters. Surely the current orthodoxy could stand up to complex and nuanced scrutiny without having to resort to tactics reminiscent of the Inquisition to defend itself. Pardon my typo, I meant to say “longer” wavelengths, not “lower”, in paragraph 4.
per SPIRAL CR hypothesis we (the universe) are in a ‘stable steady state oscillation’, on the first plateu.. It is a pity that so many good theories turn out to be wrong, but that is the way of the world. The important thing is, when proven wrong, admit it. 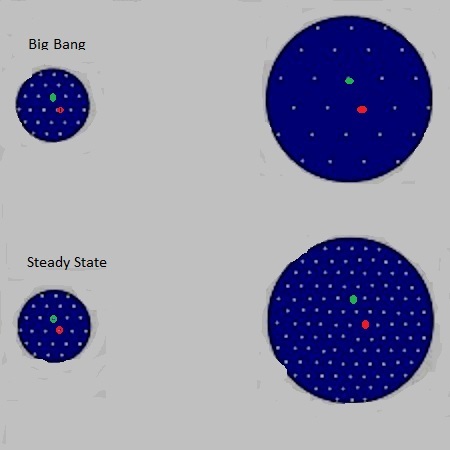 Yes, very true, the steady state theory is a far more elegant theory than the big bang. I particularly like the fact that the questions of the origin and the ultimate fate of the UNiverse doesn’t arise. This is quite interesting. Thank you for being so detailed. As a writer, I’m a literalist. I’ve observed the universe from my back porch for a few decades and while the city around me and my mid-section have expanded, when I eyeball the heavens I see no evidence that the universe has emulated either middle-age or urban sprawl. Therefore the steady state theory appeals to me. Doubtless, I will be criticized for basing my opinion on information from mostly shiftless believers rather than documented evidence about shifty celestial bodies. Nice work, ‘great minds think alike’, reference the ‘SPIRAL cosmological redshift hypothesis and model’, with it’s ‘magnetic repulsion’ ‘Black hole illusion resolution’ and Cosmological ‘blue-shift’ hypotheses, and adds in he mechanism of your double black holes..